Quiet beautiful park like setting. We have a 1/2 acre at the end of the road a short walk to Lake Eufaula beaches. Plenty of parking for RV's and the toys in the front yard under a canopy of very tall trees. 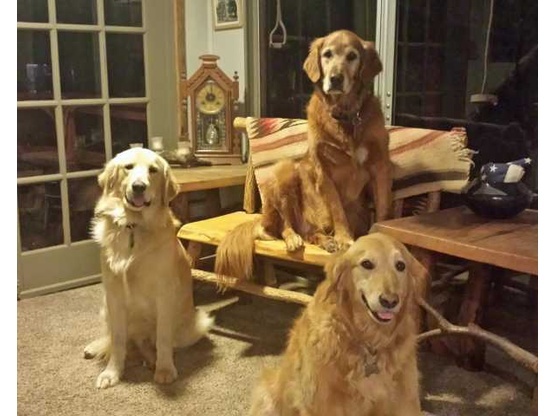 We have a small dirt area, deck and patio that is fenced for the use of our four legged friends of which we have four friendly golden retriever hosts. RV accommodations are complimentary for boondockers. We do have a small guest house available as a vacation rental. Both Checotah and Eufaula are about 20 minutes from our place. GPS uses the old street name of 421464 Big Sandy Drive, Eufaula, Oklahoma 74432. We are NOT in Stigler Oklahoma where it will send you if you put in the real address. Dogs rule unless your talking to the cats. There is a danger of flying tennis balls. You get to the lake by walking, golf cart or ATV - Community rules, not ours. Roads are gravel but flat, in good condition and easy to navigate. GPS uses old address of 421464 Big Sandy Drive, Eufaula, Oklahoma. The new street is 421464 E.1165 Road,. We are the last house on the right at the end of the street so drive to the end. We are NOT in Stigler where the GPS will send you if you enter the real address. Easy parking in the front yard with large shade trees. We are retired and are enjoying our new place in Eufaula, so we are available most of the time. 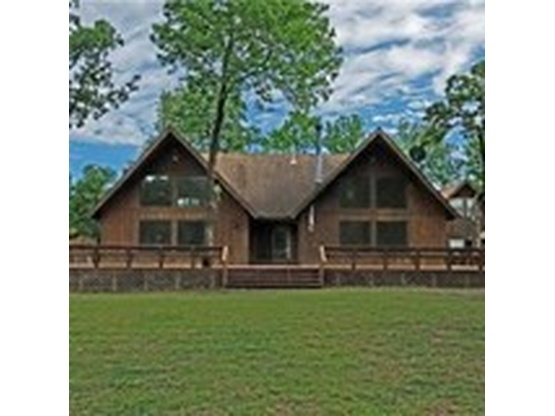 Lake Eufaula, Fishing, Boating, Kayaking, Hiking, Hunting, and much more. Kerry & Glenn were so amazing, I almost changed my plans so I could stay another night!! After only being there a few hours it felt like I had known them for years! Can’t wait to go back and plan a longer visit! We spent 5 days here and it was great. We had a lot of work to do so our hosts were super understanding in giving us our space as we hunkered down in the RV and did our work. But it was also wonderful to unwind in the evenings with them and their beautiful dogs (along with 6 new puppies!). They also lended us a couple of pieces of carpet for me to cover my solar panels when there was a threat of hail. Truly great hosts. This was a quick overnight stay and we were treated like old friends. We were immediately hooked up to power and introduced to the retrievers and the 6 new puppies. While enjoying our dinner on their deck, we were offered a plateful of freshly caught and fried up fish. What a special treat! Definitely recommend a visit to this quiet neighborhood on the lake. Thank you to Kerry and Glen. Friendly couple, sweet dogs, warm welcome, nice location, short walk to the lake. Thanks! These two are experienced and friendly hosts that know how to make you feel welcome! We were offered a drink and a meal upon arrival and had a great time connecting with them over shared interests throughout our stay. They have a lovely new fire pit, a clan full of happy golden retrievers, and are a hop skip and jump to the lake front. We'd gladly recommend their home and hospitality to anyone! We look forward to spending time with them in the future! We were lucky enough to see the new puppies! They were really cute! The host were very pleasant people. We were just exhausted and needed some rest and we got that! Thank you again for letting us stay! One word of caution for taller RV's though as some of the trees are pretty low on the roads close to the spot. Our B+ is 10'1 so it wasn't bad but there were a few small branches even we couldn't avoid. We spent 5 days with these hosts who gave us lots of space, a great site, and incredible quiet for us to work on the books we were writing. They were helping one of their 4, exceptionally well behaved Golden Retrievers sire the newborn pups. I absolutely love this location and the hosts. Great welcoming when I arrived. Just pulled on lawn and plugged in. 4 Beauiful golden retrievers and 7 puppies. I am in heaven. I did arrive a day late and am staying until tomorrow morning. I also changed my plans in Ardmore, Oklahoma for later dates. I would highly recommend my hosts here and would love to stay again if in the area. EACH BW EXPERIENCE IS DIFFERENT, THIS ONE DEFINITELY WAS! But in a great way! Glen & Kerry are very special & a sociable couple. to join them for spaghetti dinner & a few cold ones. I was definitely ready for both! They individual & together have a very interesting life story. And I truly enjoyed my visit w these gracious hosts at their new home. We arrived a day later than expected but were warmly welcomed by the friendliest of dogs followed by their just as friendly owners. No sooner had we exited our vehicle and a cold beer was placed in our hands (it's was a hot day), and great evening on the deck overlooking that magnificent vista followed. Thank you & best wishes in your upcoming move. Glen and Carrie are very friendly and helpful. We enjoyed good conversation with them and they were respectful of our privacy. Highly recommended! We arrived after a long day of driving but were greated warmly and had great conversations with Glen and Kerry. They opened up there homes to us and made us feel like family. Wish we could stay longer! What a great stay. As othets have said driveway is steep but take your time it's worth the view of the lake.thete are Golden Retrievers on property and they are all sweet and well behaved. My propne stove was having problems and our hosts were so helpful and allowed me to use their RV stove. They also let us use their fire pit and even gave us firewood. Our hosts took the time for great conversation but were also respectful of our privacy. I highly recommend this hiden gem and will be coming back. Beautiful view and great hosts! We stayed with Kerry for what was planned to be one night and was extended to three nights at the end of November 2017. We were passing between Sequoia National Park and Death Valley, this location was a perfect mid point. We figured we would stay one night and keep going, but we loved exploring the area and we had a great time chatting with Kerry and Glen, and meeting their awesome dogs. We were invited in to do laundry, have showers and catch some NFL on tv. We made great friends with our hosts! Our dogs had a wonderful time there too, and they miss the ginger retriever, KC, the most because he was the same colour as them and made wonderful furrrrrrriends. The driveway is STEEP but it is easy to navigate, take Kerry's advice, walk it first, determine your approach and then go for it. We would stay again should we roll that way in the future! We stayed three nights at this boondocker location. Friendly, helpful, welcoming, and offered laundry. We only plugged to watch a movie but did fill our water tank before leaving. We got to be good friends with the dogs and had fresh eggs for breakfast. Shared pizza and wine one night as well. Would highly recommend this host! Stayed recently with Shefferk for our very first Boondockers Welcome experience. Couldn't have gone better. She is a lovely person who went out of her way to make us welcome, the spot to park our rig was great, even ran a power cord out for us so we could hook up. Highly recommended.